Banana blueberry nicecream sundae is all that! Yes, hot summer days call for ice cream, but for vegan, gluten and dairy free peeps, the challenge lies in finding ice cream that is totally satisfying, yet healthy. Look no more! Banana Blueberry Nicecream Sundae. 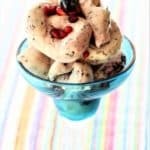 Yes, hot summer days call for ice cream, but for vegans, gluten and dairy free peeps, the challenge lies in finding great ice cream that is totally satisfying, and yet healthy. The good news is, it is no longer necessary to operate a complicated ice cream machine to have great dessert–I made this nicecream with the Dessert Bullet in five minutes. With just frozen fruit, you can create a super healthy dessert without any added sugar, preservatives or chemicals. On a hot summer day, this gadget is a must! 1/4 cup almond or soy milk if using food processor. I used a Dessert Bullet to make this nice cream. (Link in Resources) After freezing the bananas and blueberries, I mixed them together in a bowl, and inserted them into the chute and pressed. Voila! Swirls of banana and blueberry in ice cream form. 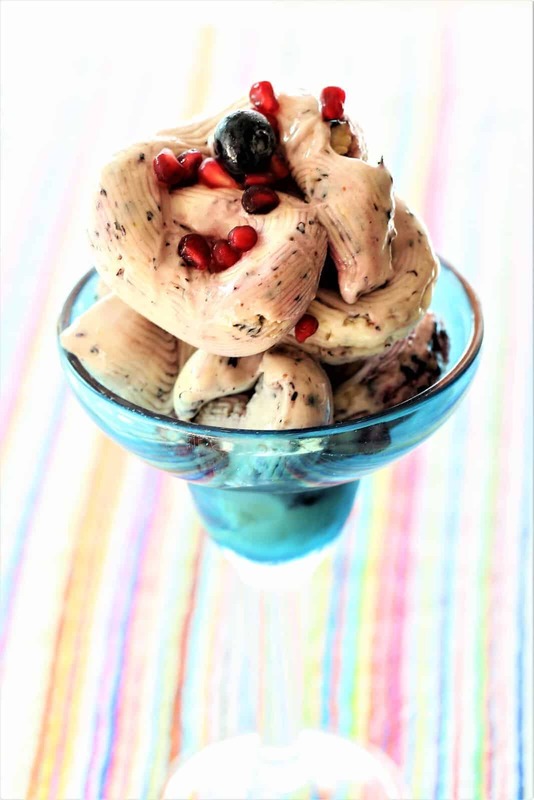 Top with pomegranate seeds, or whatever suits your taste buds. 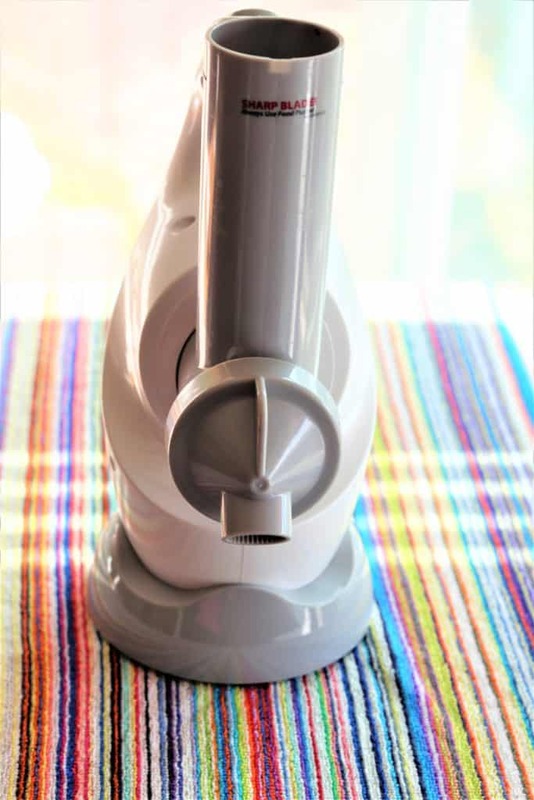 If you don't have a Dessert Bullet, you can make nicecream in your food processor by adding the bananas and blueberries and soy or almond milk as needed to create a creamy texture.